Can you figure out which one of these photographs is our good friend Emmett B Ziggler when he either found out (A) his wife was not going to take him to dinner or (B) when he found out why he was going to get to skip dinner? We think you can guess. Be like Emmett, skip dinner with #skipittogiveit and make someone else happy and guess what, you won't starve. In fact, you just might feel better, just like Emmett B Ziggler. When he found out that together we will help a family in need. 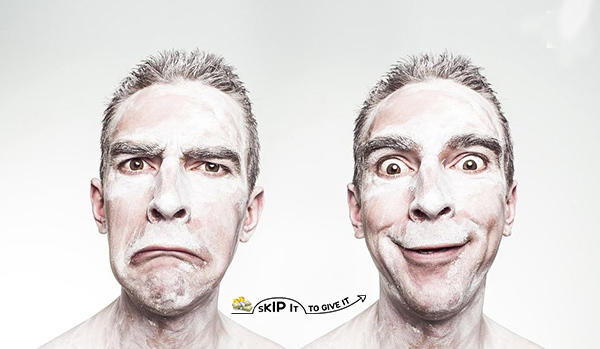 Skip it to Give it is simple, easy, and effective have a look here.